We needed to put Plan B into action after our initial plans for this week's author birthday celebration fell apart. Luckily, we were celebrating Bagram Ibatoulline's birthday. 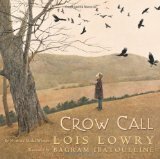 He has illustrated such a wide variety of books, including The Miraculous Journey of Edward Tulane by Kate Dicamillo, Crow Call by Lois Lowry, and The Scarecrow's Dance by Jane Yolen, and I had oodles of activity ideas floating around in my head. Celebrating Bagram Ibatoulline's birthday was very important to me. 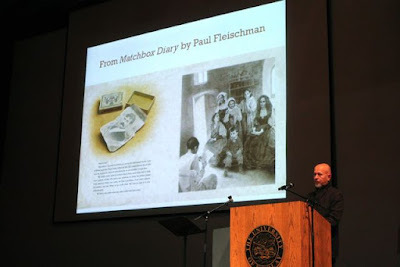 I fell in love with his illustrations in The Animal Hedge and The Matchbox Diary last September when we celebrated Paul Fleischman's birthday. Then, in November, I had a chance to meet Bagram Ibatoulline at the Mazza Museum Fall Conference 2014. I learned that Bagram Ibatoulline was born in Siberia; "The cold part of Russia." He went to Moscow State Academic Art Institute after spending much of his childhood studying art. 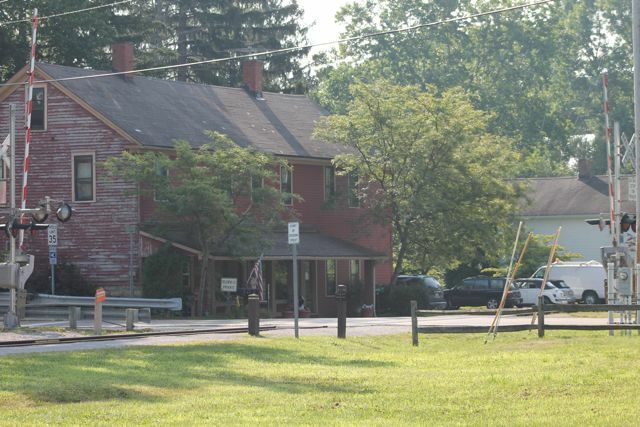 He has lived in the United States since 1991. 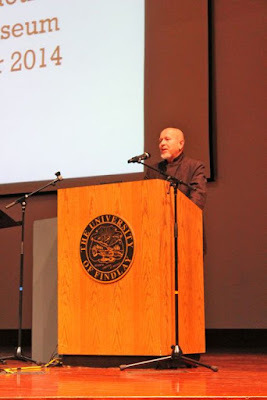 Bagram explained in his keynote speech that when he illustrates his books he tries to remember the emotion he felt when he read the manuscript for the first time, because that is often the truest one. When Bagram read the manuscript for The Miraculous Journey of Edward Tulane by Kate Dicamillo he said he was "moved by the whole text." He poured his emotion into his illustrations and Kate DiCamillo said, "He has done an incredible, amazing job. True art that should be hanging on a wall in a museum is in this book. He's done something that is truly extraordinary. 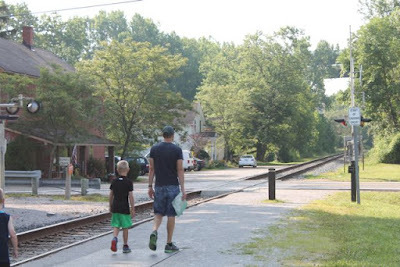 It was like he was digging around inside my brain." (Candlewick). I learned that Bagram uses acrylic-gouache for most of his illustrations, but has also used watercolor, ink, and even bleach. Bagram finds his own source material like photographs to get "deeper" into his illustrations and often creates clay models. The result of this process are beautifully realistic and historically accurate illustrations. 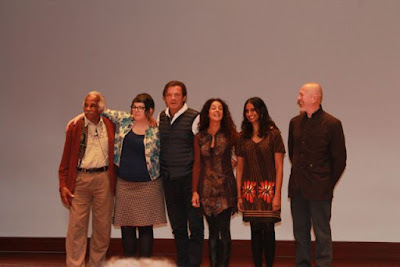 This was the lineup from the Mazza Museum Fall Conference 2014 -- now we have celebrated all their birthdays; Ashley Bryan, Jen Corace, Peter Sis, Gianna Marino, Divya Srinivasan, and Bagram Ibatoulline! In 2001, Bagram Ibatoulline illustrated his first book, Crossing by Philip Booth. It was named the Best Book of 2001 by Publishers Weekly. The text was originally published in a book of poetry, A Letter from a Distant Land, by Philip Booth in 1957. 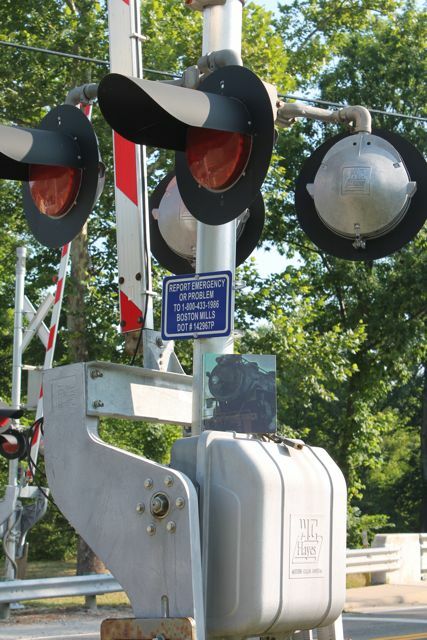 Crossing starts with the words, "STOP LOOK LISTEN" with an illustration of a railroad crossing, a track, and a cloud of billowing smoke rising above the treetops. When I read those three opening words and my children saw the illustration they were hooked and ready to experience the whole book. 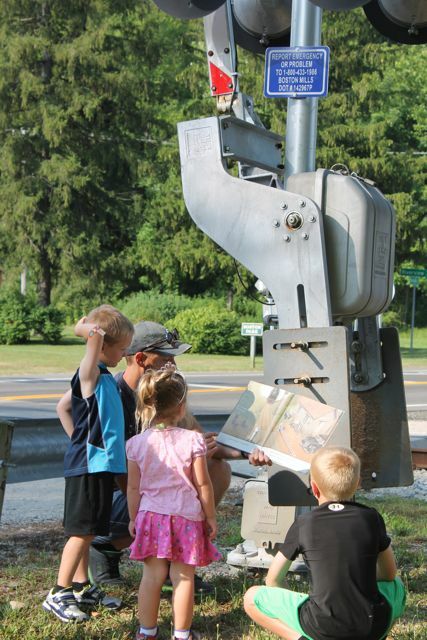 Bagram Ibatoulline talked about Crossing at the Mazza Museum Fall Conference and said, "I loved the freedom the text gave me," and "I relied on memories of seeing trains when I was little." 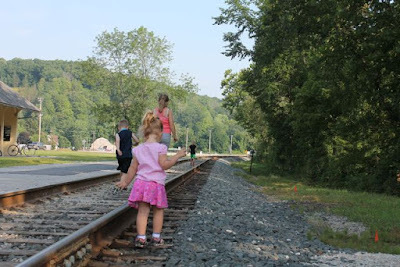 Crossing is a celebration of a child's innate desire to count the cars of a passing train while sitting at the crossing. Booth's words introduce today's readers to railroad names such as Union Pacific, Frisco, Phoebe Snow, and more. 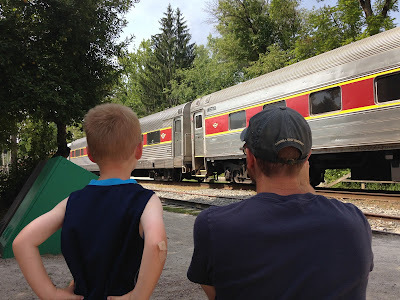 Ibatoulline's illustrations are so realistic that readers are transported back in time to observe the train cars with as much intrigue as the children in the book. Our Plan B author birthday celebration activity was to read Crossing along the railroad tracks. Then, I thought that the experience would be even better if I could guarantee that we would see a train too. 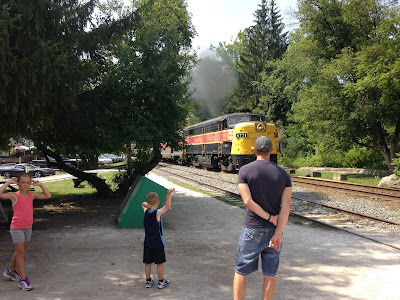 The best place for our family to do this was in the Cuyahoga Valley National Park along the Scenic Railroad. 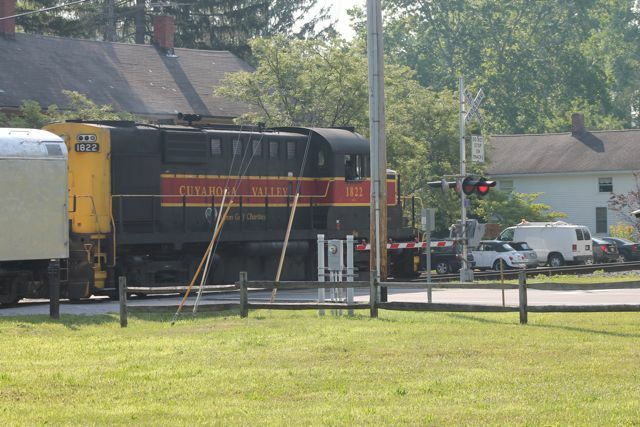 The Cuyahoga Valley Scenic Railroad train was scheduled to arrive at the Boston Mill Station in Peninsula, Ohio at 9:30am. 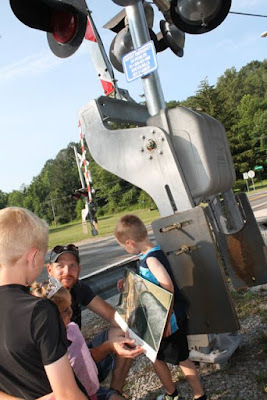 We arrived at 9:00am to scope out a good place to read Crossing. We decided to read the book right by the railroad crossing signal. I explained to my oldest son that I got to see the artwork from this page at the Mazza Museum. 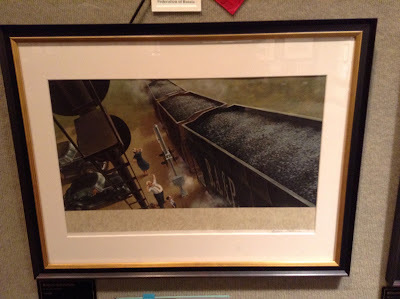 "Hopper of Coke" was on display during my visit to the museum in July 2015. On the third-to-last illustration spread in Crossing, Bagram Ibatoulline illustrated 99 train cars heading into a tunnel on the circular track. I can't imagine how many times Bagram counted the train cars to be sure he had only 99. The next page is the grand finale -- #100, the CABOOSE! 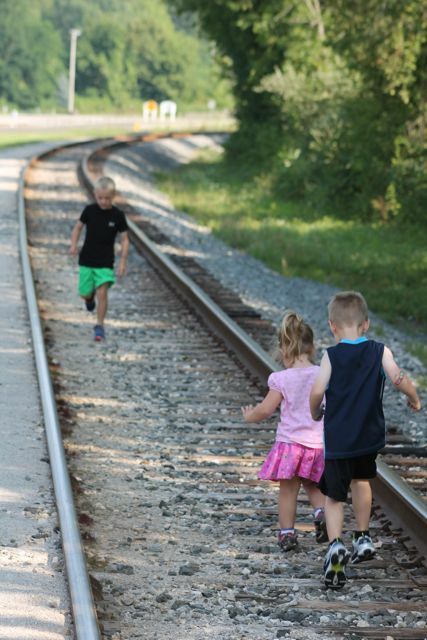 After reading the book, my children walked along the tracks back to the station. 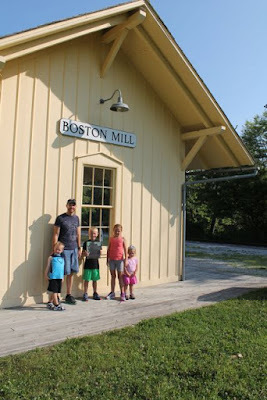 We were at Boston Mill Station. The station featured in the book is the Big Ear Station. 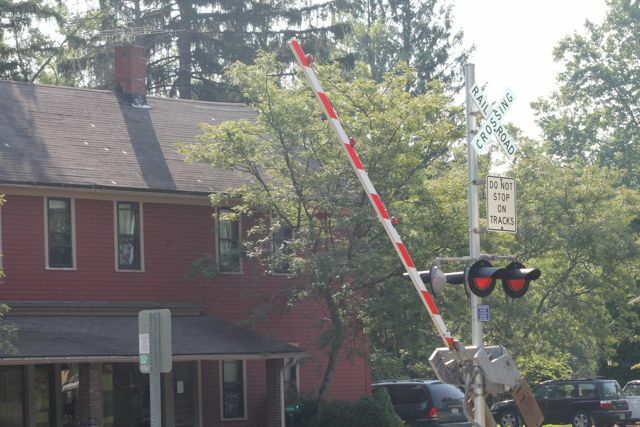 The crossing was quiet on this sunny morning. 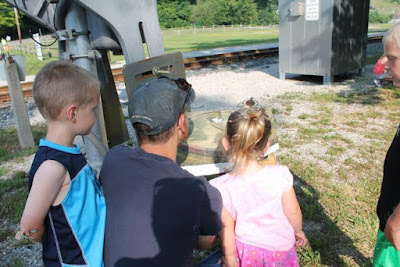 Until we heard a "warning whistle" from the oncoming train. 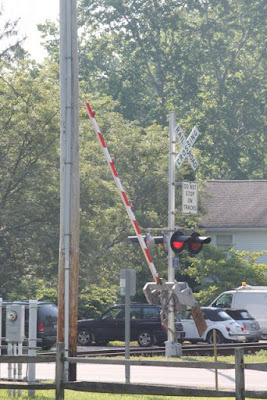 Soon after the whistle, the railroad crossing "gate stripes" swung down, the red signals flashed, and the traffic stopped. Toot! Toot! The train was right on time! The train stopped briefly to pick up a few bikers before it was off to the next station. Then, the gate swung back up to the top, the signals stopped flashing, and the traffic rolled across the tracks. My daughter knew it was safe to once again test her balancing skills. 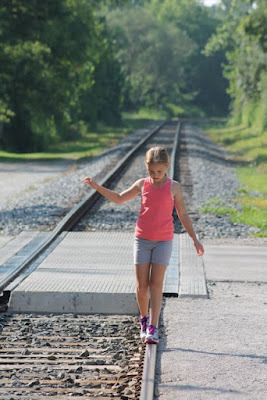 The others ran up and down the tracks. 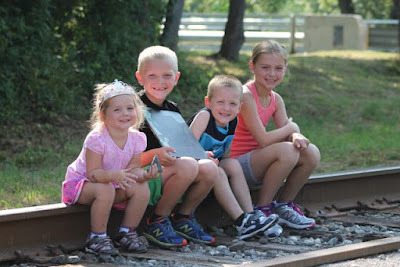 It was a fun morning at the railroad tracks. We will never look at a railroad crossing sign the same way again. 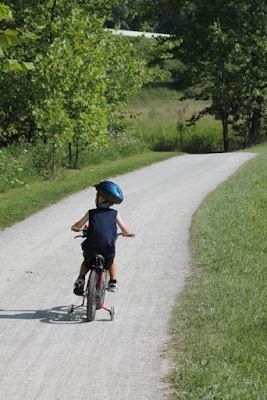 After our time at the crossing, we went for a bike ride on the Towpath Trail. We also couldn't resist heading to downtown Peninsula to visit a few of the local shops. 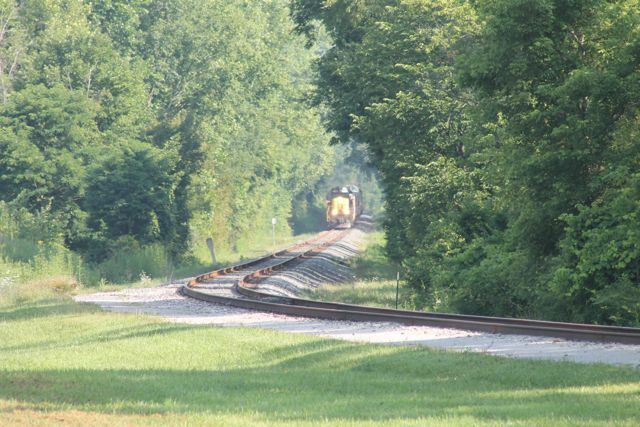 We happened to catch the Northbound train pulling into the Peninsula Depot at 11:30am. My son waved to all the conductors. 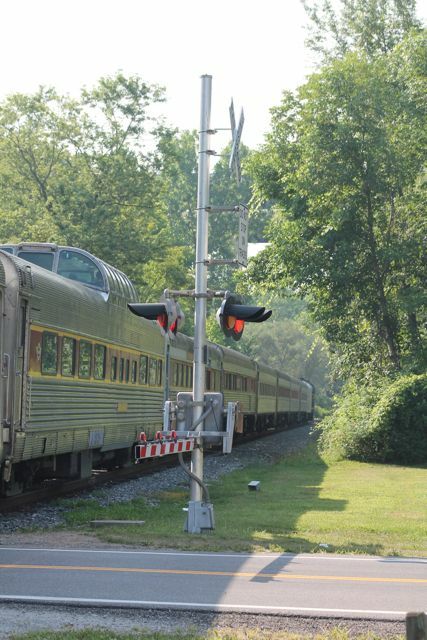 We also counted all the cars; 2 engines and 11 passenger cars. Plan B (or in this case Plan "Bagram") turned out to be a really fun family day! And the best part is we already have an idea for celebrating Bagram Ibatoulline's birthday next year!